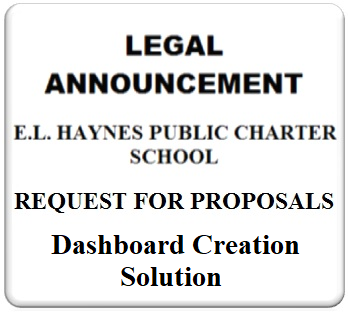 E.L. Haynes Public Charter School (“ELH”) is seeking proposals for a data warehouse tool and dashboard creation solution. The system needs to pull existing student data from our school information system, Infinite Campus, as well as ther data sources such as i-Ready, A-Net and SAT. The system must provide a reporting solution that allows staff to generate and disseminate customizable data dashboards throughout the LEA. 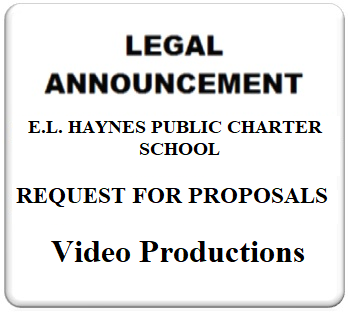 Applicants must respond to all of the tasks included in the scope of work in their proposal.